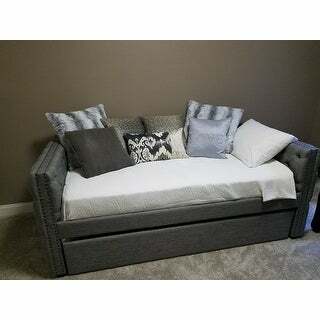 I love this bed, great price as well. Never thought box bed would be a thing. We provide the most reliable and innovative products that lead your satisfying sleep experience. This Sleeplanner 10-inch Tight Top I-Gel Infused Innerspring Mattress is designed to support your spine carefully while you are sleeping. Three layers of high density memory foam and one layer of I-gel memory foam easily conform to your body shape and provide exceptional coziness. Especially, the 7.5-inch height of tempered steel independently-encased coil springs relieve any pressure on your body through distribution of your body's weight evenly. In addition, the pocket springs eliminate the unnecessary tremors and relieve the pain of people who are sensitive to sleep. In terms of quality, our mattresses are sustainable for years. The coil springs located in the center are protected by multi high density memory foam which adds to incomparable quality and extraordinary comfort. Wonderful mattress! 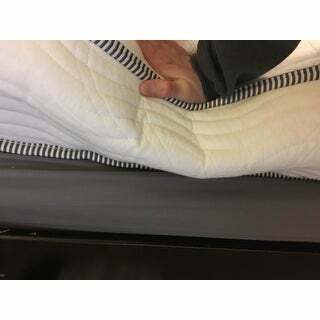 I purchased this mattress for a daybed and wanted something that was sturdy, but comfortable. I worried an all memory foam mattress would not provide enough support on a daybed so the hybrid was the perfect solution. It arrived in a small/medium sized box, but it's pretty heavy. It takes some elbow grease to pull it out of the box. As soon as you pull the wrapping off, the mattress unfolds and springs to life, so make sure you're in the room where you want to place the mattress before unpacking. 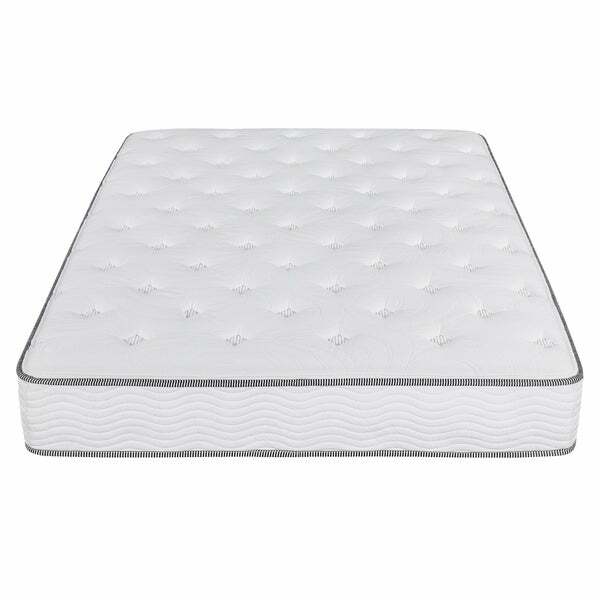 The mattress has a sturdy base with the coils, but is super soft on top. You sink down in the mattress a bit, but you don't feel the coils. It's the perfect mix. I'm very happy and now have an additional super comfortable space for guests. I love this mattress. I have had it for quite a while and it is holding up well. My husband likes a super soft bed, so we have a 2 inch topper on it, but I don't think it needs one. Great mattress for the price! Very good mattress, although just a bit too firm for my liking. I added the thick memory foam topper that I already had and now it's PERFECT! I like that it has coils as well as layers of foam. Incredible bargain so I figure that, even if it only lasts a few years, I will have gotten my money's worth. It arrived one day later than projected delivery date. Fortunately that wasn't a problem for me. Dimensions listed online were for a twin size. Live online support at night wasn't able to get accurate info for me but the daytime online support was great in confirming that it is actually a queen size. Impressed ! Quality construction, up to height in about 24 hours and VERY comfortable. This is a great mattress for the price! If you are thinking about getting this don’t hesitate, you will not be disappointed! Was delivered fast and inflated to the full 10 inches as soon as I took it out of the package, no smell either! Very happy with it. Great mattress, have never slept better, highly recommend, five star. My spouse also is amazed at the comfort and how great we have been sleeping. Would definitely recommend! So, I was a bit worried about purchasing a mattress without laying down on it first but willing to give it a shot. I logged on to O and found an $ mattress for $. I applied by 20% off coupon and BOOM.... I had a mattress delivered at my door for $. The mattress is awesome. I had a memory foam mattress before but this hybrid was awesome. Best night's sleep in a long time. This is good for the price. It comes vacuum packed in a box just as described. Once you cut open the bag the mattress fills up on its own and goes into normal shape. It’s not a high end mattress and was purchased for a guest bedroom. Great mattress - the hybrid combines innerspring technology and memory foam for a win-win sleep! Perfect mattress height for an adult or a child and built to last. I highly recommend this mattress. I love it. Its very comfortable. Delivered earlier than expected, high quality, really comfortable. Kinda nervous ordering a bed online but turns out it was everything I was hoping for! Great price! Very comfortable with firm support not like sleeping on a rock! Great nights sleep! Good quality and price, but not as firm as I would've liked. I only give it one star as the mattress was lower & softer than I had expected and once its expanded its not returnable. Good thing I only put it in the guest room and I hardly have any guests. dont spend a dime on this item. awful cheap item with non returnable policy. I checked through most of the reviews before purchasing this bed. The top review stating it is too firm for their liking. What I received was the opposite, It feels like a squishy inflatable mattress. It is comfortable but feels like there is nothing inside of it. Not worth $*** bucks. Absolutely love how easy this was to take out of the package. Inflated in 24 hours. No weird smell. Ready to spend the night on it, as it is really for our condo guest room, but still waiting delivery on our king-size bed. "Is this mattress compatible with an adjustable foundation?" "Please explain what Tight Top means and also what Plush means. Does Plush mean the mattress is soft, medium or firm? I am 6' tall and weigh 280 lbs. I have Fibromyalgia and neck & back problems. The Fibromyalgia causes me so much pain that I cannot sleep on anything but a mattress that does not press on any part of my body. That usually means a medium foam mattress or a plush but supportive plush topped mattress. I sleep on my side and need a lot of softness but also enough support for my large frame. 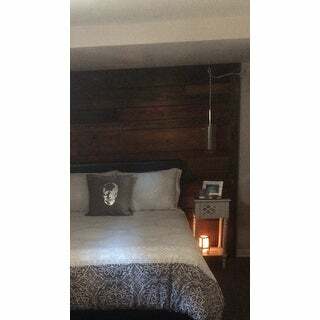 Would this bed meet my given needs? Would appreciate a quick response before this sale ends and before these are all gone. Thanks so much." "Can the mattress be reversed??" "Why does specifications list the size of this KING bed as 39.0x75x10?"